Congregations Annual Meeting February 3rd following Worship. Martha Circle Bible Study meets this Thursday, February 14th at 1pm at Tabor for conversation, fellowship, and Bible study from “Gather”, the monthly ELCA women’s magazine. If you would like to subscribe to the magazine, please speak to Barb Moore. All women are invited. Faith, Ethics, and Science Roundtable We will meet at the Research Administration Bldg conference room at the University of Utah campus on Monday, February 25th from 11:30am to 1pm. See the Tabor website mttaborslc.org for this event, including an interactive campus map. Please join us and invite friends and co-workers! Deng Hoth, our good friend and member of Mt. Tabor, provides transportation throughout the Salt Lake area, including airport pick ups and drop offs, or transportation for any of your needs - or a friends. Please call him to make a reservation at 801-792--289 or 801-708-0289. You can also reach him by email at dhoth2005@yahoo.com. Or, Deng can give you one of his business cards. Hello, Mom and Dad (Marge and Barry) are both really struggling with memory and dementia. They love getting letters and phone calls, thought may not always remember who your are! Thank you so much for your ongoing love and friendship. 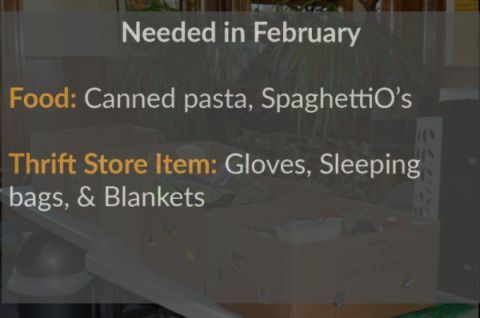 We will be sorting food on Saturday, February 2nd from 10 a.m. to noon. Please join us at the Utah Food Bank, 3150 South 900 West, at 10 a.m. All are invited.